Three Atlanta-area faith leaders will discuss their beliefs, rituals and traditions regarding end-of-life care at an event on Wednesday, Apr. 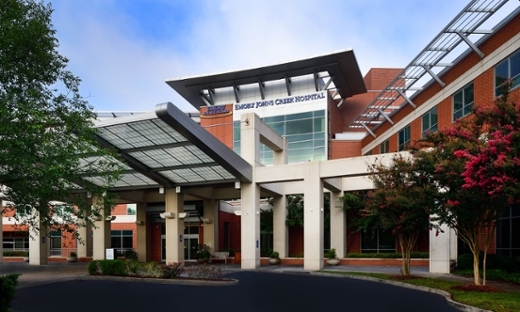 10 at Emory Johns Creek Hospital (EJCH). Attendees will learn about faith traditions founded on the Indian sub-continent, including: Hinduism, Buddhism and Sikhism. "Emory is committed to a robust interfaith dialogue about spiritual health that encompasses a diversity of faiths and customs," says Timothy Park, EdD, EJCH Director of Spiritual Health. EJCH previously hosted an interfaith panel in October 2018 that taught about traditions in Judaism, Christianity and Islam. "Compassionate (palliative) end-of-life care is a sensitive, but critical topic that affects all of humanity," says Park. "This multicultural event is a great opportunity for community members and staff to deepen their understanding of others’ beliefs and to equip them to best care for their fellow neighbors during an end-of-life experience." Geshe Ngawang Phende, Drepung Loseling Monastery; Manhar Valand, certified Hindu Chaplain; and Gulbarg "Gogi" Singh Basi, president of the Sikh Study Circle and founder of the Global Sikh Council , will serve as guest speakers. The interfaith event will be held at EJCH in the Education Center on the hospital’s lower level from 2 – 3 p.m. on April 10. It’s free and open to the community. For more information about spiritual health at EJCH, call 678-474-7191 or go to emoryhealthcare.org/spiritual-health.